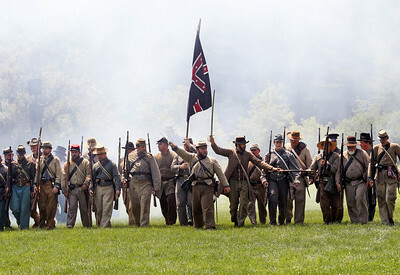 Candace H. Johnson-For Shaw Media Confederate soldiers fight against the Union infantry in the Battle of Shiloh during Civil War Days at the Lakewood Forest Preserve in Wauconda. 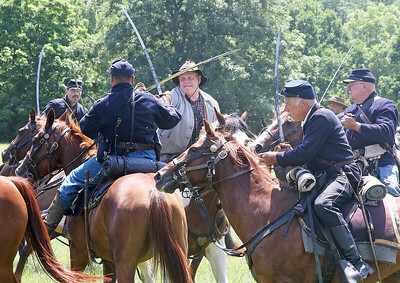 Candace H. Johnson-For Shaw Media Kevin Wright, of Kankakee, as a Confederate soldier with the 3rd Tennessee Calvary, (center) fights with Union soldiers in the Battle of Shiloh during Civil War Days at the Lakewood Forest Preserve in Wauconda. 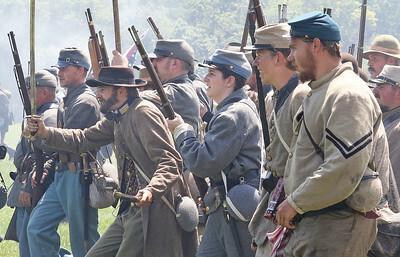 Candace H. Johnson-For Shaw Media Union soldiers from the 36th Illinois infantry advance while fighting the Confederate Army in the Battle of Shiloh during Civil War Days at the Lakewood Forest Preserve in Wauconda. The Battle of Shiloh was fought in southwestern Tennessee on April 6-7, 1862. 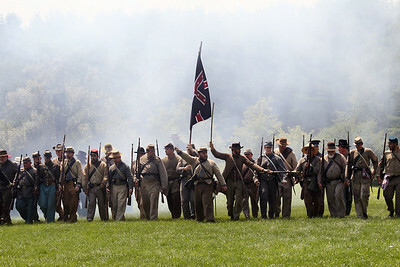 Candace H. Johnson-For Shaw Media Confederate soldiers advance while fighting the Union infantry in the Battle of Shiloh during Civil War Days at the Lakewood Forest Preserve in Wauconda. The Battle of Shiloh was fought in southwestern Tennessee on April 6-7, 1862. 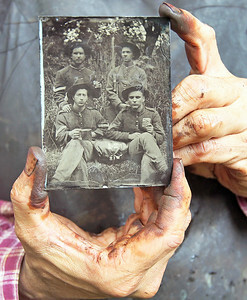 Candace H. Johnson-For Shaw Media Union soldiers from the 1st Illinois Battalion fight against Confederate infantry soldiers in the Battle of Shiloh during Civil War Days at the Lakewood Forest Preserve in Wauconda. 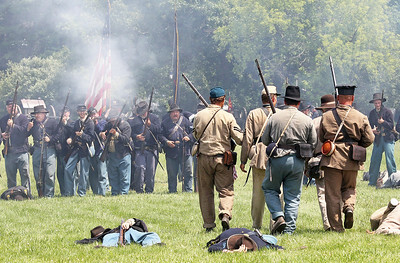 The Battle of Shiloh took place on April 6-7, 1862 in southwestern Tennessee. 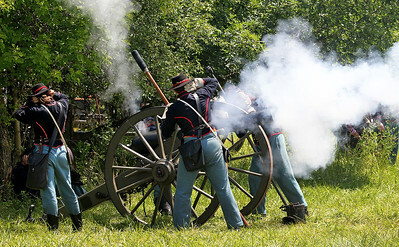 Candace H. Johnson-For Shaw Media Chicago Light Artillery Battery A fires a cannon against the Confederates in the Battle of Shiloh during Civil War Days at the Lakewood Forest Preserve in Wauconda. Candace H. Johnson-For Shaw Media Jeff Edwards, of Caledonia shows a 12 lb. cannon ball used in cannons in the Civil War during Civil War Days at the Lakewood Forest Preserve in Wauconda. 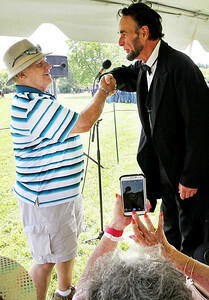 Candace H. Johnson-For Shaw Media Janet Stevenson, of Glendale Heights takes a picture of her husband, John, shaking hands with President Abraham Lincoln, as portrayed by Fritz Klein, of Springfield after the Battle of Shiloh during Civil War Days at the Lakewood Forest Preserve in Wauconda. 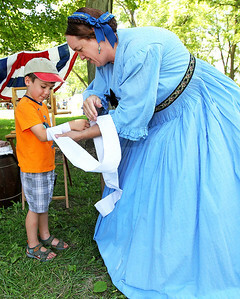 Candace H. Johnson-For Shaw Media Timothy Myagkov, 5, of Grayslake gets a cloth bandage put on his arm by Jenna Theissen, of North Prairie, Wis., with the Ladies Aid Society during Civil War Days at the Lakewood Forest Preserve in Wauconda. Timothy learned how to use a bandage roller before having the bandage put on his arm. 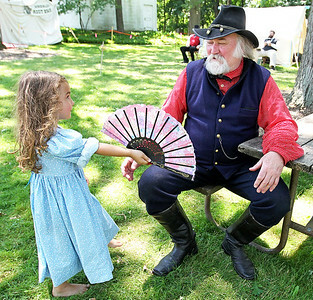 Candace H. Johnson-For Shaw Media Sophia Hare, 5, of Belvidere shows Ken Kadz, of Round Lake Beach, as General Myer, her fan during Civil War Days at the Lakewood Forest Preserve in Wauconda. 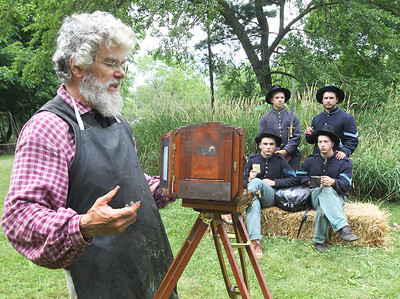 Candace H. Johnson-For Shaw Media Tin Typist Robert Beech, of Ann Arbor, Mich., photographs Tim Flemke, 19, of Des Plaines, Tristen Arnold, 21, of Minooka, (back row) and Alex Franke, 19, of West Bend, Wis., and Tom Beck, 20, of DeKalb, (front row) during Civil War Days at the Lakewood Forest Preserve in Wauconda. 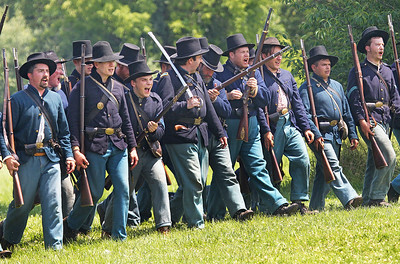 The reeanactors portrayed Union soldiers from the 36th Illinois infantry. 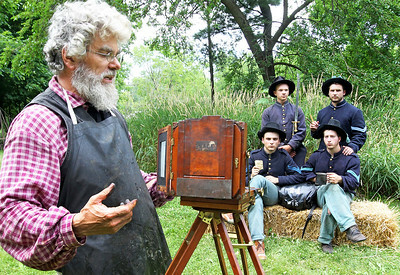 Candace H. Johnson-For Shaw Media Tin Typist Robert Beech, of Ann Arbor, Mich., shows a tintype photograph he just made of reenactors portraying Union solders from the 36th Illinois infantry during Civil War Days at the Lakewood Forest Preserve in Wauconda. Jeff Edwards, of Caledonia shows a 12 lb. 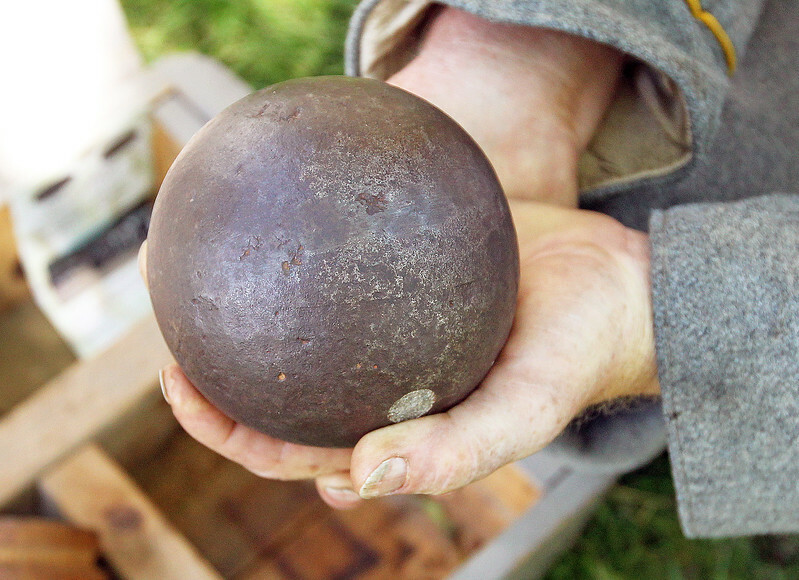 cannon ball used in cannons in the Civil War during Civil War Days at the Lakewood Forest Preserve in Wauconda.